I was in Fircrest getting a hair trim (thank goodness!) and I had a little time afterward to have a bite to eat. T.W.O. is located at 1039 Regents Boulevard. Service was quick and friendly and my grilled cheese with tomato soup was tasty. The cafe has an eclectic vibe going one and I found a seat in the lovely November sunlight. Before the space was T.W.O., it was Green Bean Coffee. This entry was posted in Coffee Shops, cafes and bistros, Fircrest, Restaurants, WA State - Pierce County and tagged coffee, coffee shop, Fircrest, grilled cheese, Regents, shop, T.W.O. on November 8, 2014 by admin. 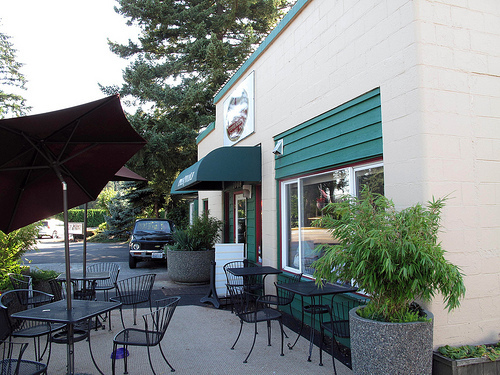 Lunch today at the Silver Lake Cafe at 616 Regents Boulevard, Fircrest was very tasty. The wait people there were really nice about taking in our large group with no prior warning and everyone seemed very pleased with their lunch. 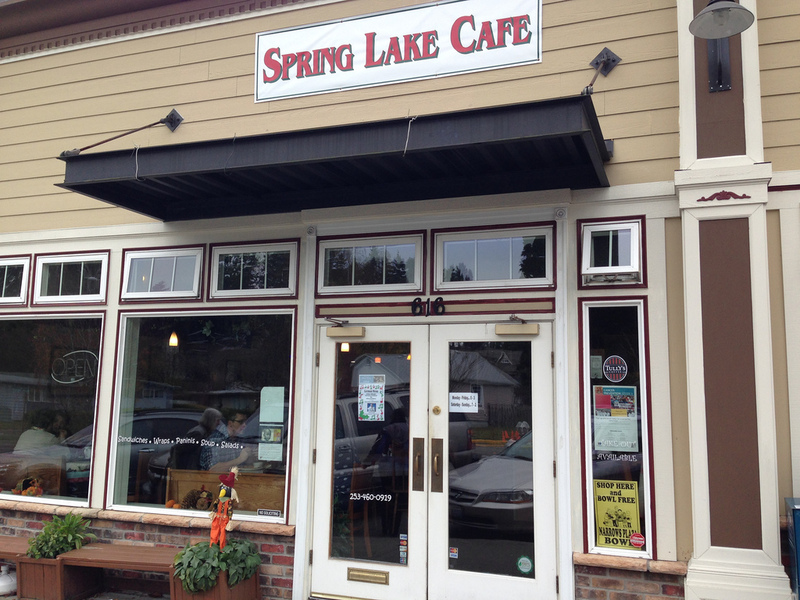 Spring Lake Cafe’s Facebook Page is here. This entry was posted in Coffee Shops, cafes and bistros, Fircrest, Restaurants, WA State - Pierce County and tagged Fircrest, lunch, Silver Lake Cafe on November 16, 2013 by admin. 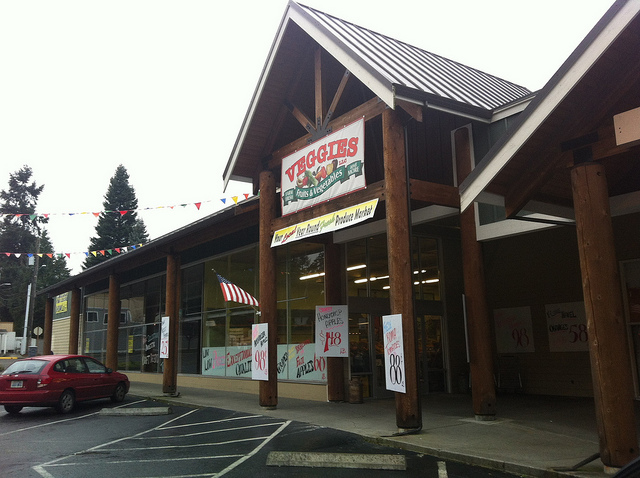 This entry was posted in Fircrest, Stores and other places that sell you things, Unique Shopping (stores with some personality), WA State - Pierce County and tagged beer, cheese, Fircrest, fruit, Regents, vegetables, Veggies Northwest, wine on March 5, 2013 by admin. 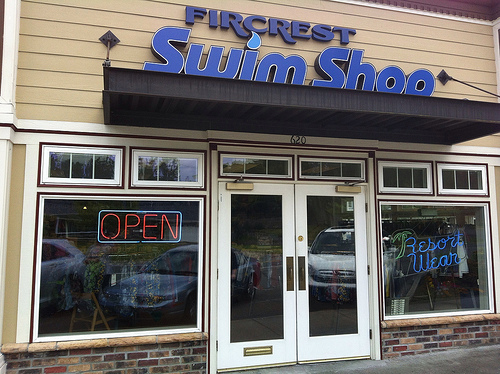 This entry was posted in Fircrest, Stores and other places that sell you things, Unique Shopping (stores with some personality), WA State - Pierce County and tagged bathing suit, Fircrest, Suitsuit, summer, Swim Shop on June 26, 2012 by admin. Fircrest Park is located at 471 Electron Way, but also fronts on Contra Costa Avenue and Spring Street. It features a community building, an outdoor pool, picnic areas, ball fields and a sidewalk area around the perimeter. This entry was posted in Fircrest, Parks, WA State - Pierce County and tagged ball, Community, fields, Fircrest, Fircrest Park, Park, picnic, pool on April 18, 2012 by admin. 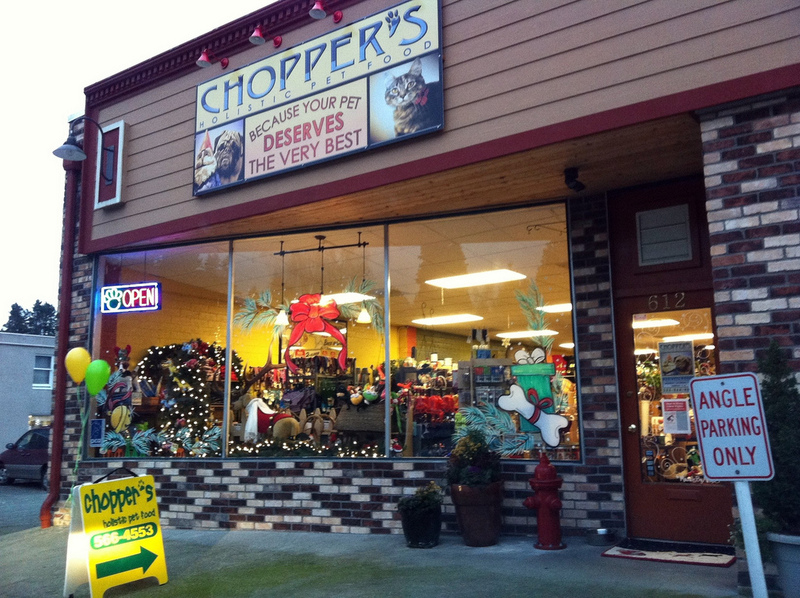 I had a hair appointment today and right next door was Chopper’s Holistic Pet Food at 612 Regents Blvd., Fircrest, WA. It has an entirely different feel from a large box pet store. 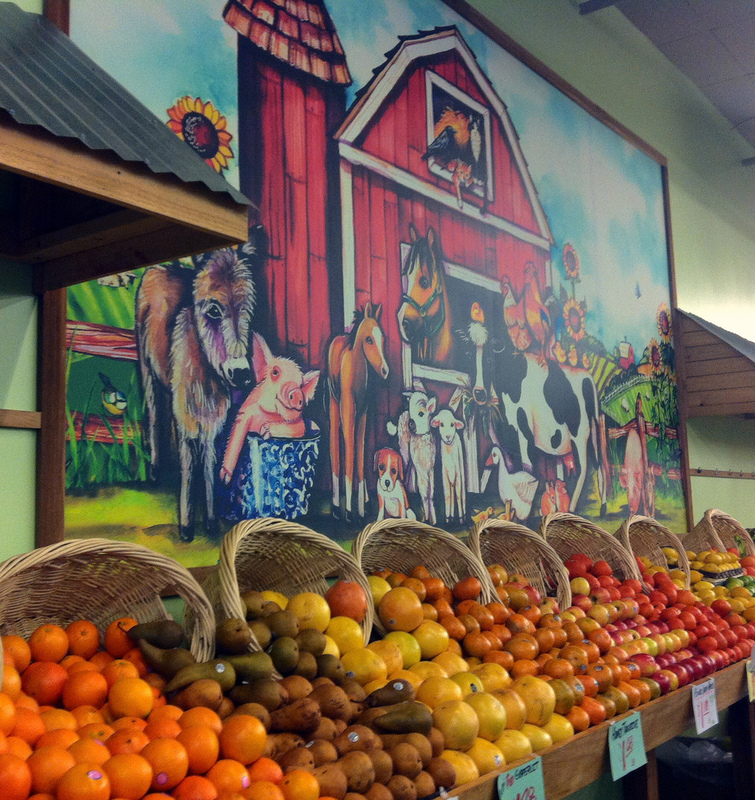 The store is indeed mostly pet food and high quality pet food at that. 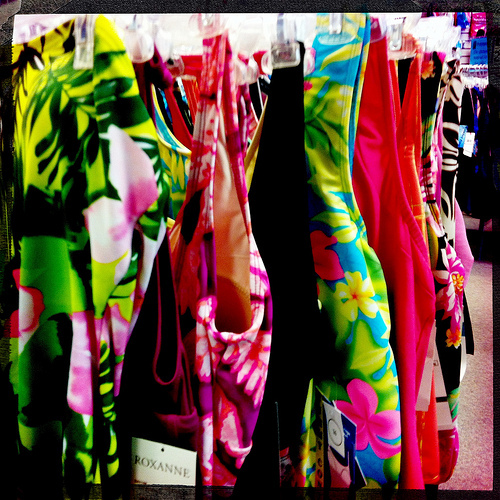 The rest of the stock is treats, toys, clothes and accessories. 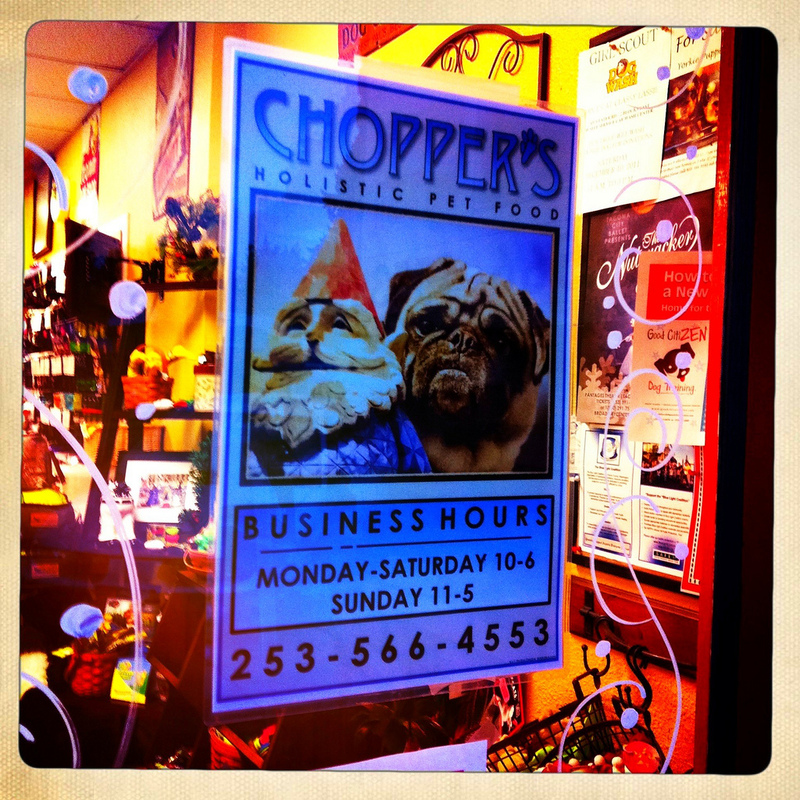 The woman who helped me was pleasant and knowledgeable and even gave me some samples :D.
This entry was posted in Fircrest, Pet Friendly, Stores and other places that sell you things, Unique Shopping (stores with some personality), WA State - Pierce County and tagged Chopper's, Fircrest, food, Holistic, Pet, service, treats on December 7, 2011 by admin. The house at 202 Ramsdale in Fircrest is considered one of the best decorated Halloween Houses according to the Tacoma News Tribune. So, on our way elsewhere, we stopped and snapped a quick photo. 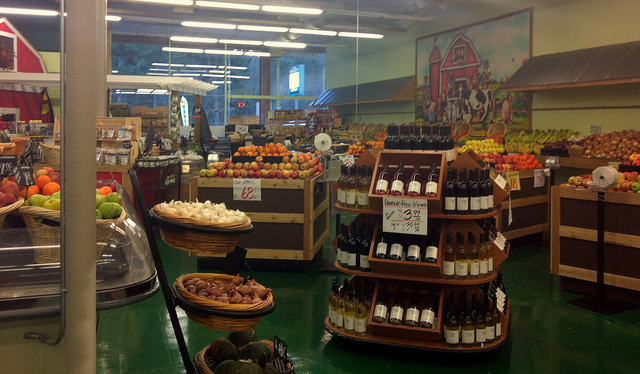 It wasn’t until later, at home, that I realized the pumpkin head figure that is the focal point of the display is actually one of those carved bears that Fircrest is known for! That’s kind of cool. 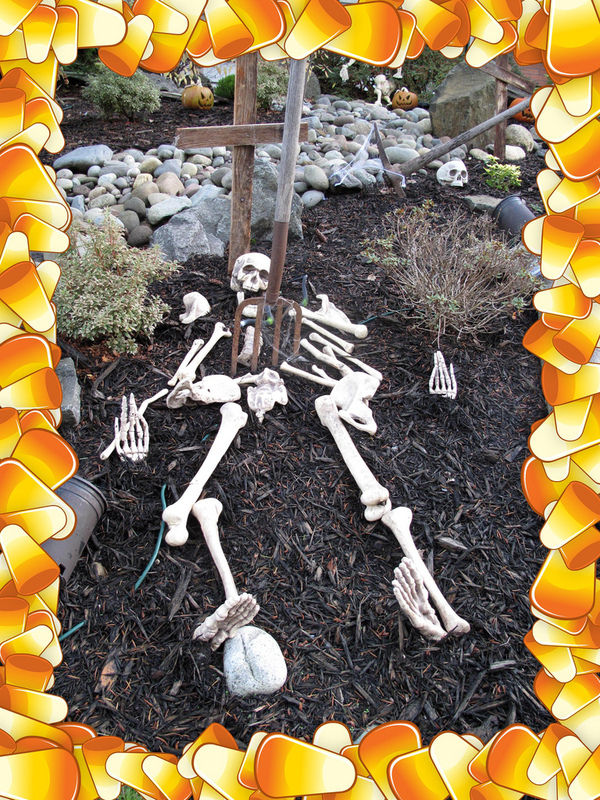 I throw a pumpkin frame around the whole thing because I didn’t think that overkill was a concern 😀 And while I was at it, I added a skeleton with a candy corn frame! 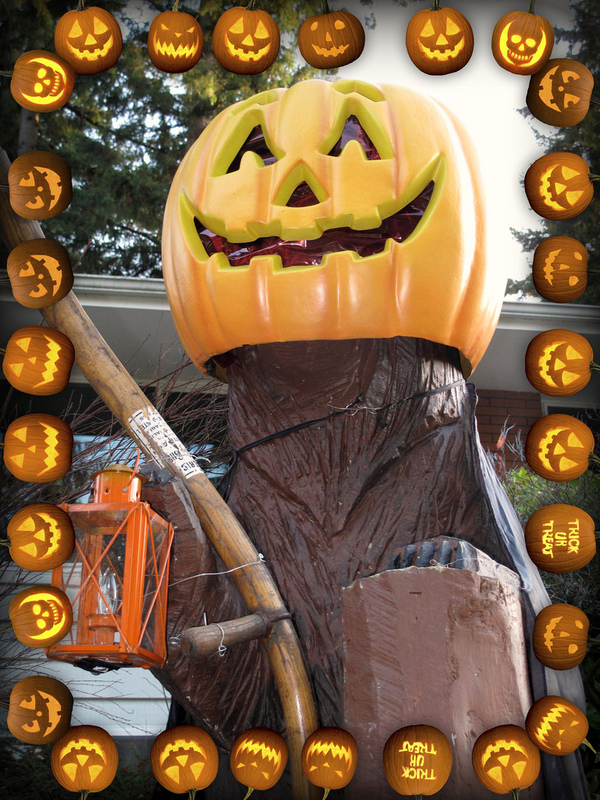 This entry was posted in Fircrest, Residential, The Holidays, WA State - Pierce County and tagged 2011, bear, carved, decorations, Fircrest, frightening, Halloween, jack o' lanturn, pumpkin, scary, skeleton, WA, Washington on October 29, 2011 by admin. The first full day back at work for a while called for a treat. But not caffeine because it was too late in the day. Espress O Yourself at 1009 Regents Blvd at Alameda Ave in Fircrest, won me over with a strawberry lemonade smoothie that was very delicious! I went in instead of taking advantage of the drive through lane. While waiting for my drink, I munched on a couple of free chocolate covered espresso beans. Espress O Yourself (love that name) is more than a coffee shop. 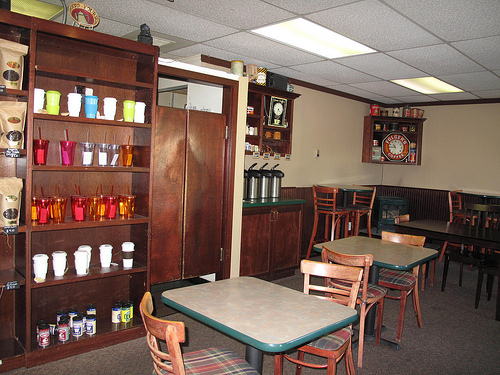 They serve a light breakfast and lunch and have indoor and outdoor seating. This entry was posted in Coffee Shops, cafes and bistros, Fircrest, Restaurants, WA State - Pierce County and tagged coffee, Espress O Yourself, espresso, Fircrest, WA on September 3, 2011 by admin. The 160 acre, 18 hole Fircrest Golf Club opened in May 1923. While I don’t play golf, I still appreciate the lovely grounds. I was there for an event and the meal I had, the three salad plated, was very tasty. 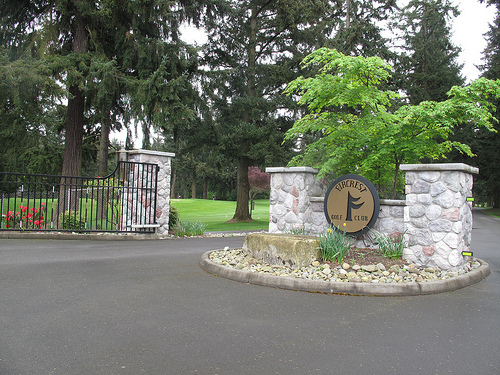 This entry was posted in Fircrest, Sports, WA State - Pierce County and tagged Fircrest, Fircrest Golf Club, golf course, open space, trees on May 21, 2011 by admin. Today’s new place is Salon Mosaic for a new do! This salon has been open since the fall and is a lovely space with talented, experienced stylists. I recommend it. This is my first new place in the city of Fircrest. 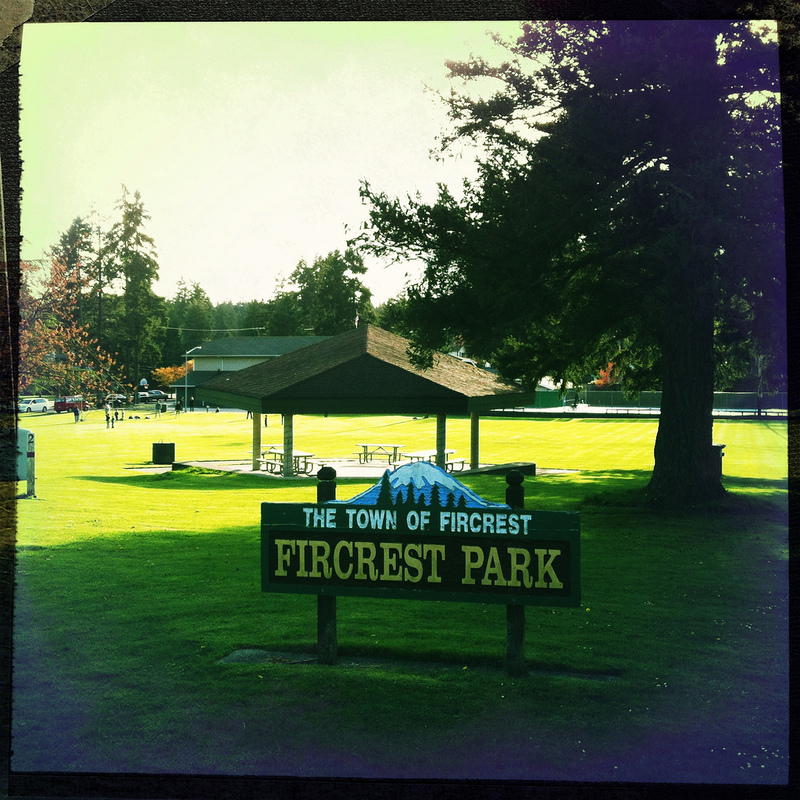 Per CityData.com Fircrest has a population of 6,278 as of July 2009 and the median household income is $68,002. The population density is 4022 people per square mile. 91.4% of the population over 25 have a high school degree or higher. Using the same site, I compared that information to Tacoma which has a population of 193,566 and a median household income of $48,673. Tacoma’s population density is 3,986 people per square mile and 83.6% of the population have a high school degree or higher. These are interesting differences for side by side cities! 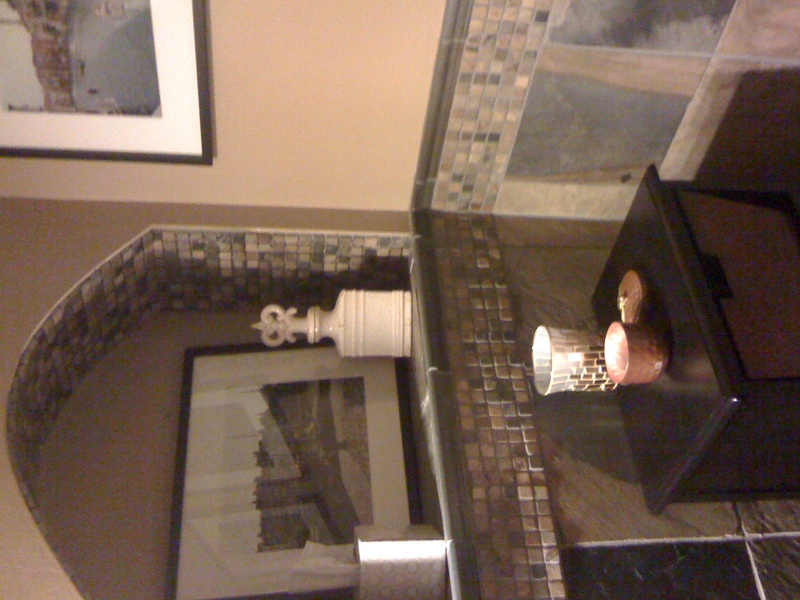 Here is a photo of Salon Mosaic’s lovely restroom! This entry was posted in Fircrest, Service Places, WA State - Pierce County and tagged bathroom, cities, city, Fircrest, hair, Salon Mosaic, stylist, Tacoma on January 8, 2011 by admin.